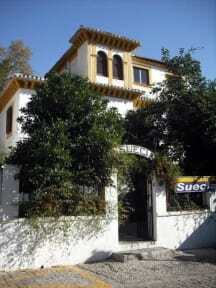 Pension Suecia is at the foot of Assabica Hill, where the Alhambra sits. We have free Wi-Fi and a terrace with views of the Sierra Nevada Mountains. All our rooms have central heating, as well as a fan for the summer months. 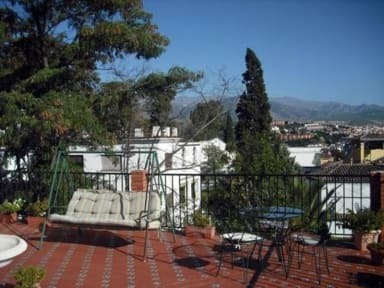 Pension Suecia has a small garden with a table and chairs, and a roof terrace from which there are panoramic views of the Alhambra and the mountains. The Cathedral and main touristic places are just 800 metres away. There is a bus stop 1 minute’s walk away from the hotel, which provides transport links to the districts of Sacromonte and Albaicín.